Standing in the tea aisle of my local Wegmans, my heart pounded and my head froze. 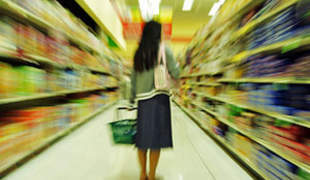 The prim, brightly colored canisters and shiny, cellophaned boxes stared at me, rows of them, emblazoned with brand names, alleged health benefits, and flavors. Some were fair trade, some were organic. Others were just cheap. In the end, I picked a compromise of price and quality. The anxiety seems crazy. And, as my dad quipped when I mentioned the issue, it’s better to have too many choices than none at all. True. But option overload has become an increased problem in the West. As absurd as it sounds, too many choices can be a bad thing. A definitive, oft-cited study of choice occurred in 1995 under Sheena Iyengar, a professor of business at Columbia University. 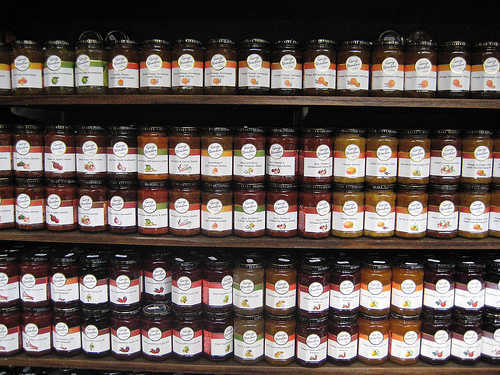 In the so-called “jam study,”Iyengar and his team made a shelf of Wilks & Sons jam at a California gourmet market. Every few hours, they alternated the selection between six jams and 24. Each customer received a coupon for $1 off one jam. The results were clear. The larger assortment drew more people, with over 60 percent of passing customers stopping at the shelf of 24 jams and 40 percent stopping at the shelf of six. However, 30 percent of the people who stopped at the smaller selection bought jam, while only 3 percent facing the two dozen jars bought anything. So much jam, so little toast. For many Americans, this is a daily reality. Excess creates anxiety: an option overload. 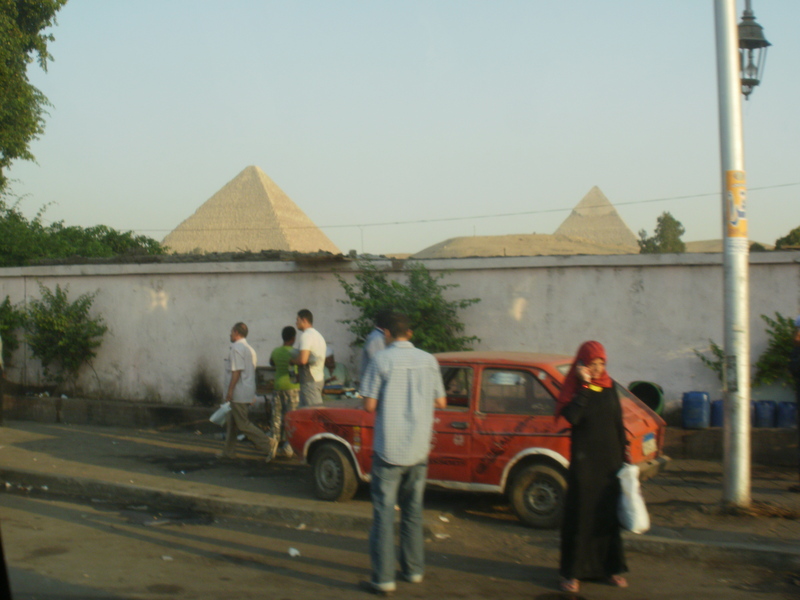 In Egypt, I faced another reality. With the economy shot, few realistic options existed, whether it was food or a future. But it wasn’t a release; it was a crippling limitation that stirred a revolution. For them, “option overload” was an impossible luxury, not an anxiety. Egypt, outside of Giza, taken by me. Now back home, I’d like to say that I can celebrate options after what I saw in Egypt, but sometimes the sheer scope hurts. I face my own “option overload”: picking what to do with the rest of my life. Like a roadmap webbed and layered with too many lines, my future is foggy and frenetic, easier to avoid than solve. I want someone to choose for me. 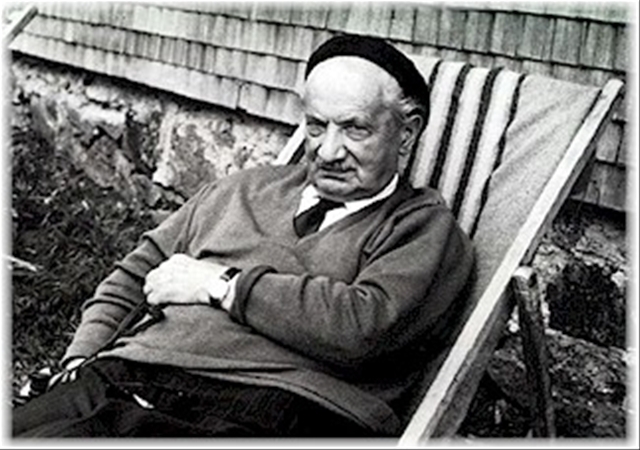 In Being and Time, Martin Heidegger talks about “the tranquilizing power of the they.” He means that society in the form of a faceless, ever-present entity called “the they” (Das Mann in the original German) steers us according it its values. This releases us from the weight of choosing our own path. “The they” limits our options and makes our choices for us. For example, certain lifestyles carry values that others do not. Naturally, the they in the form of parents and social norms pushes us to consider stable, lucrative careers in law, medicine, or business. They push us to have a family and a nice house. On these well-trod paths, we feel comfortable. We are doing the “right” thing. However, his critique is not against choosing what the they values, but in failing to choose at all. For him, most people live in an inauthentic state of tranquility because life carries them forward without ever revealing the fact that the they has picked the path, not the individual. They say that being a doctor with a nice house and a charming family is a good thing, but they don’t say why. Their values are empty and groundless, but we accept them anyway. When we realize this emptiness–or “nothingness” as Heidegger calls it–we hit the true throes of “anxiety.” Suddenly, all the meaning and significance that once filled the world saps away. We’re left with a series of words–relationships, choices, objects, etc.–that don’t mean anything. The they who once created their meaning no longer has any authority. To escape this crippling crisis, we can either flee back into the they or create our own meaning. Heidegger thinks that most people continue to flee, “falling prey,” as he calls it to the they. But the authentic do not. Instead, authentic people can choose to do what they’ve always done–be a doctor with a nice house, a family, etc.–but they chose and take ownership of the choice, not the they. With “resoluteness,” as Heidegger calls it, we realize the inherent emptiness to everything and accept the responsibility that we must infuse it with our own meaning, structuring and living our life according to our own choices. We can no longer rely on the interpretations of the they. As Existentialist Jean-Paul Sartre, a disciple of Heidegger’s perspective, allegedly said “We are our choices.” I suppose the burden of option overload in the case of a recent college grad is that suddenly we realize that our choices define us. We don’t want to mess up the rest of our lives with a wrong choice. It’s a lot of responsibility. But in the end we must choose and accept our choice, whether it be with tea, jam, or future careers. As one recent pop philosophy book on existentialism puts it, “get a grip and stop making excuses.” Each day I research the options, narrow them down, and prepare to commit. One day, perhaps, I’ll end up on the other side. But for now, I’ll be careful of tea aisles. ¹Study and quote taken from a New York Times article, “Too Many Choices: A Problem That Can Paralyze,” 26 Feb. 2010, by Alina Tugend. ²I drew Most of this Heidegger analysis directly from Being and Time, with additional commentary from Hubert L. Dreyfus’ “Heidegger on the connection between nihilism, art, technology, and politics” and Michael E. Zimmerman’s “Heidegger, Buddhism, and Deep Ecology,” both found in The Cambridge Companion to Heidegger, 2nd. Ed., 2006 from Cambridge University Press. Indeed. Thanks for the comment, man. Interesting. All choice is also rejection. “The road not taken” haunts us if we’re not careful to remember that we’re here, now. Very much so. One of the other haunting qualities of choice, haha! Thanks for the comment, Mikels.